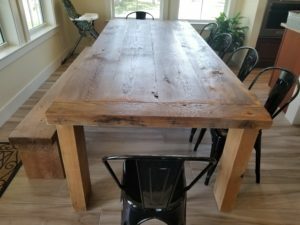 A natural reclaimed wood farm table made its way to a nice Ft Myers Beach home. 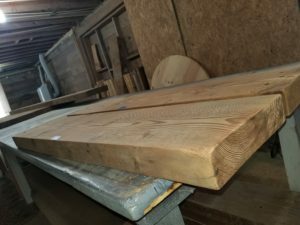 It was made with 3” thick solid beams for the top and large 4×6 column beams for the legs. 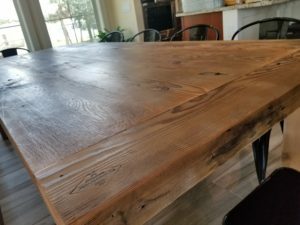 By request, it had no stain applied at all, just sealed it with a clear matte low sheen varnish so you can see the natural wear and tear the beams took from decades of use overtime. 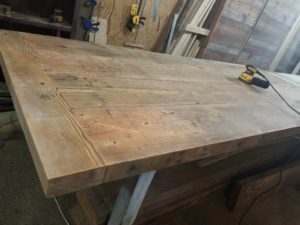 On the sides of the table edge you can see all the original nail holes which held each beam together on the barn. 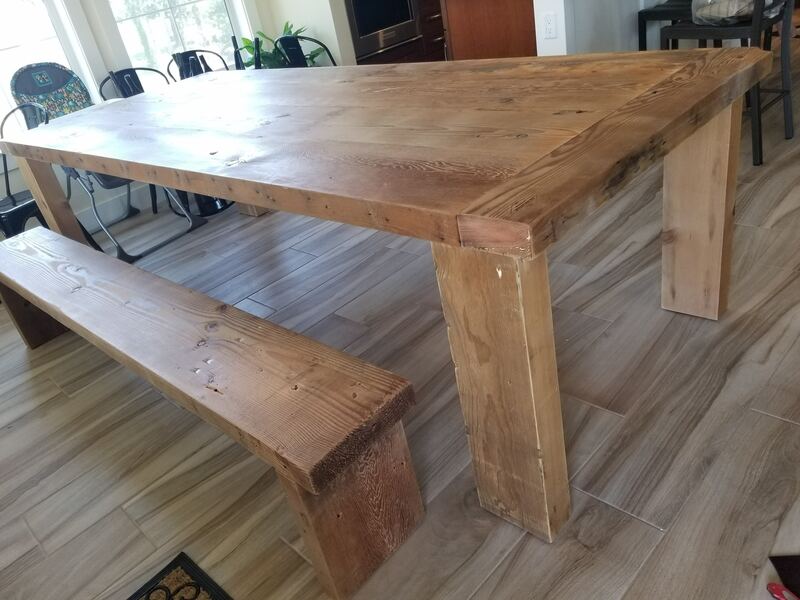 The matching 9ft bench was made the same way. HEAVY is an understatement. 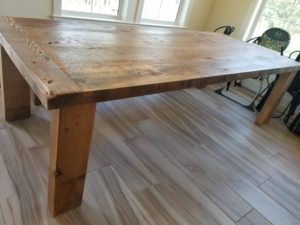 This table had to travel up 2 small scissor stairs to finally make its way to its home in the dining area. At least it’s super sturdy, strong and very solid. 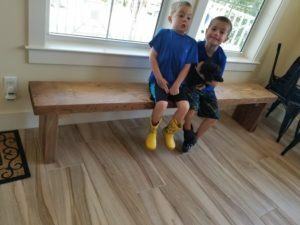 So it will last them a long long time.